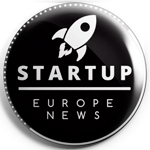 In line with Silicon Luxembourg’s continued support of the Fit4StartProgram, we interviewed a soon-to-be graduate, Jacob Arnould, CEO and Founder of MyMedBot, to get his ideas on the project. Check out his testimony below! Tell us a little bit about yourself and why you started MyMedBot. I’m a French-American who’s been living in Luxembourg since 2004, when I moved here with my family. I’m a pretty wholistic product of the international community in the Grand Duchy because I graduated from the International School of Luxembourg. After that, I attended the University of St. Andrews in Scotland where I was enrolled in the School of Physics. In April 2017, I decided to leave to work on an idea, which has since developed into MyMedBot. The idea was pretty elementary at the time, but I knew it was something I had to do. I have a life-threatening condition that needs constant monitoring. The problem is that nobody with life threatening conditions wants to be a burden for those around him/her. Especially if you’re young, you want to be young—to go to music festivals, go hiking with my friends—not worry about a medical condition. So people with these conditions keep quiet. That, obviously, is not good because our lives can suddenly be at risk! I have Type 1 diabetes and if I need an immediate shot of Glucagon, I pass out, nobody will know what to do or even understand that I am not taking a nap… I can die. I started attending hackathons at St Andrews. Eventually I won one, which was first proof of concept for MyMedBot and I decided to focus on that and left the university. Why did I branch out into coding, and invest 100s of hours on youtube.com and other sites to teach myself coding? Because one question shocked me: even using the world’s latest technologies, how could people still not know how to help me if my life is in danger? This was the crux of my idea since the beginning, but I only fully realized it during Fit4Start. After Fit4Start, your concept must have changed a little. So tell us, what is MyMedBot? MyMedBot helps people with life-threatening conditions connect to emergency personnel without having to put a burden on who they’re with. That personnel could be a trusted friend, the school nurse, or a security officer at an event. It’s based on a two-tier alert system. The first tier is a “I’m feeling-unwell” yellow button that alerts emergency contacts so they can come help. The second tier is a “I’m about to pass out” red-button. Both the yellow and red buttons send out geolocation to emergency contacts in the area. The users’ phones will also speak out loud explaining the problem and telling people around him what to do. And if the voice isn’t enough, emergency information will show directly on the screen. One thing we want to harp on now is that the user must push one of the buttons. We learned through the Fit4Start program that the timeframe would take WAY too long if we made MyMedBot a technical “medical device” that incorporates a biosensor. The regulations are just too cumbersome for something like that. So, we’re in BETA, and will probably produce a biosensor version of the product later, after seed-round. This revelation is exactly the lean startup methodology taught at Fit4Start—getting to the market quickly and making additional improvements later. What was the timeframe on your Fit4Start grant and coaching award? Coaching started in April, and the program concluded at the end of July. The official graduation ceremony hosted by Luxinnovation and Ministry of Economy is on the 4th of October. How has the Fit4Start program helped you narrow down your scope for MyMedBot? Honestly, the biggest step I took was the most important one for any startup: figuring out exactly what need the company solves. In the case of MyMedBot, it was figuring out how to help people with life-threatening conditions find peace and security without being a burden on those around them. But I learned that the most important thing was not pitching but LISTENING to learn what we have not yet figured out. To have a vision, but also to listen to users. Before Fit4Start, I did 27 “interviews” in which I pitched the product. In the end, I didn’t discover any real market information. The Fit4Start coaches really pushed me to go out and ask questions. I talked to people with food allergies, epilepsy, Crohn’s disease, and others. The underlying problem actually turned up at the dichotomy between parents and teenagers. Teenagers do not to make a big deal out of their condition so to not be a burden. But parents? They LOVE it. This juxtaposition was eye-opening and became our niche in the market: parents. Have you been able to identify a particular facet of the launching process in which you were personally weak before? We’ve touched on this a bit already. I’m the “nerd” with the disease, but I can’t push that onto others. My own experience cannot be extrapolated to millions of other patients. We have a lot in common but not everything. To be a CEO and entrepreneur, you have to be stubborn. But in the program, you need to be humble. What major takeaways do you have for the Lean Start-Up methodology? The lean start-up methodology is to get to market as quick as possible in order to build revenue and make improvements afterward. It’s kind of becoming a symbol for the Fit4Start program, and MyMedBot is following suit. But again, and I can’t stress this enough, it’s the listening. Only through listening were we able to discover that our go-to market strategy is parents with teenagers who have a life-threatening disability. The PEACE OF MIND is key for them. Did you meet some cool people? I promise I’m not sucking up to Silicon Luxembourg, but Noah is one. He just kind of popped up everywhere when I really started to integrate into the startup ecosystem. Charles-Louis is another one for obvious reasons. The Startup Apéro are where I met a lot of other cool people. It was actually at one of the Startup Apéros that I met Torge Schwandt. A lot of people have asked me how I went from studying physics and math to becoming an entrepreneur. It was through listening to podcasts. I would listen to an hour of podcast each day. Reid Hoffman’s masters of scale, for example, is awesome. Torge offers something along those lines: Startup Notes. Startup Notes were a huge deal for me, and I made a lot of progress by listening to them. I really recommend it. You can find them on SoundCloud. What do you think about the Health tech track theme for this year’s Fit4Start? Do you know of many other startups in your industry? It’s crazy how the program has grown. At first, there were 5 companies. My year, there were 10. And now there’s 15 in total for the next round, for which the call for application just ended. I think it’s really great. To be honest, I felt like MyMedBot was a guinea pig to see if the program can support HealthTech. I was bunched in with a bunch of ICT folks, which was challenging but ultimately useful. HealthTech is so vast, and the regulations that accompany it even vaster. Companies like CRISPR are going down to the DNA-level and doing gene editing, while MyMedBot is a telecommunications solution. With that kind of range, it will be such an interesting project. I’m curious to see what it will look like! More specifically, I’m curious to see how coaches who all have a variety of experience will manage the vastness of topics. Do you have recommendations for those going into the program next? I recommend going in to Fit4Start with an open mind. You probably lack something, and they will help you find it. At the same time, put your coaches’ advice in context—meaning, think about what the program is all about. 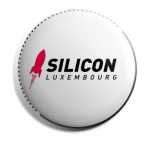 It’s funded by the Ministry of Economy, which wants Luxembourg to be the Silicon Valley of Europe. They want to pump out successful startups quickly, hence the “lean” methodology. For HealthTech startups, I recommend speaking with Jean-Philip Arié, the Biohealth cluster manager at Luxinnovation. He is building the community around health and can put you in contact with great people. I would just like to give a little perspective to anyone thinking of becoming a startuper. I am a 22-year-old kid who hacked a proof of concept. The Luxembourgish government is giving me the opportunity to do something incredible and to keep working 24/7. Of all the opportunities in the world, many intro-level jobs are low-hanging fruit. Go for startups, it’s not impossible.